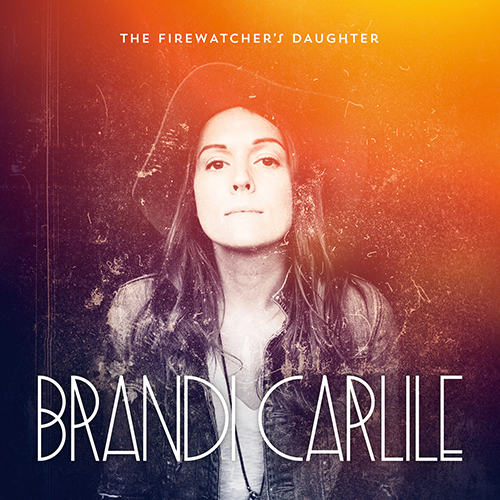 Get Brandi Carlile‘s latest release The Firewatcher’s Daughter at the ATO Store. ‘The Firewatcher’s Daughter’ was recorded almost entirely as first takes without any demoing and little rehearsal before gathering at Bear Creek Studio in Washington State. The result is immediate and electrifying. “The Eye,” a song influenced by Crosby, Stills and Nash, is so intimate and hushed you can hear the quiver of Brandi’s voice in a flawless 3-part harmony. Lead-off track and first single “Wherever Is Your Heart” captures a fiery intensity. ‘The Firewatcher’s Daughter’ follows 2012’s ‘Bear Creek,’ which debuted in the Billboard Top 10, was hailed as “gorgeous” by Rolling Stone and “tremendously assured” by NPR. Brandi has sold out venues like Red Rocks, back to back nights at The Beacon Theater and performed at Bonnaroo, Austin City Limits and more. 12/07/2015 Congrats Alabama Shakes + Brandi Carlile on GRAMMY Nominations! 11/30/2015 Watch Brandi Carlile’s Pin Drop Tour Documentary!